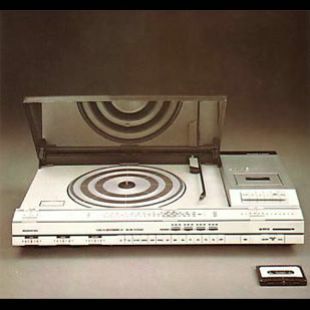 Beocenter 4600 was a multi-way combination unit incorporating a 2 x 25 watts RMS AM/FM receiver, an easy to use hi-fi cassette deck and an automatic record player. The lightweight arm had built-in bias compensation and carried Bang & Olufsen's MMC 20S pickup cartridge with spherical diamond stylus. The AM radio covered long and medium wavebands. Outstanding reception quality and high selectivity was secured by an Automatic Gain Control circuit, active noise suppression and hybrid filters. The super Permalloy tape head was hard-wearing and had a long, useful lifetime. 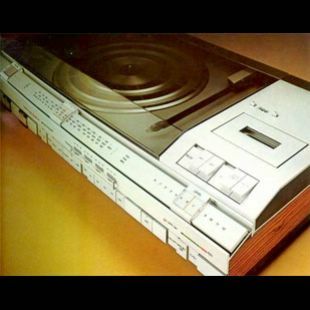 The record player too was automated: all functions were controlled by a single button. The anti-skating device worked automatically too. Bang & Olufsen's MMC 20 S pickup cartridge with a spherical diamond was an integral part of this unit. Two Beovox S40 speakers complete this system if this was your choice. The replacement for the rather disappointing 3600, this was a very popular product and for a relatively modest amount, one got a very substantial piece of Danish engineering based around the Beogram 1500, Beomaster 1500 and Beocord 1100.